Should You Buy Your Next Pair of Eyeglasses on the Web? Home » News and Events » Should You Buy Your Next Pair of Eyeglasses on the Web? In today's world, where more and more consumers have become used to shopping for more and more products through the Internet, glasses are one item that needs to be cautiously reviewed prior to clicking that buy button. Why? Although you may encounter reduced rates on the Web, the benefits of choosing an optician far outweigh the ''deals'' you might find online. 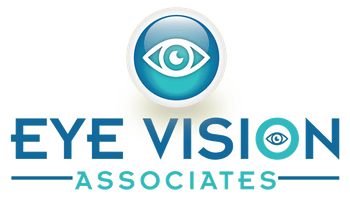 A persuasive argument for purchasing eyeglasses at an optical boutique is that you have a qualified optician to help you select the proper glasses. Our staff can assist you with the numerous decisions you'll make in choosing a glasses. 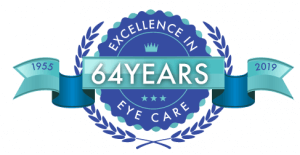 In instances where you order online, you forgo the specialized input of a professional eye care expert. In addition to the help a professional can provide at a real eye wear boutique, you will also be able to try on the eyeglasses before you buy. Frames that don't sit right can result in pain and frustration and can even inhibit your ability to see well. Also, you don't get to see what they really look like or how they feel until you have them in your hands to put on. Even more than your wardrobe, eyeglasses require proper fit and comfort to work successfully. Even more than the fit and feel of your eyeglasses, proper vision requires accurate PD measurement. The optical focus of your lenses gives you the truest vision, so it's crucial to accurately calculate the pupillary distance, or PD. It can be complicated to measure your own PD, but without this measurement, your lenses won't be placed correctly in the frames. True, online shopping is often perfect for other types of commodities, but when it comes to glasses you're better off sticking to your regular vision office where you are able to find glasses that are most appropriate for you and your lifestyle.